For home use, Silvia can produce espresso comparable to that produced by the much larger machines. An Authorized seller of Rancilio and Baratza. Espresso Machines, Grinders and Parts. With less maintenance, energy, and space. 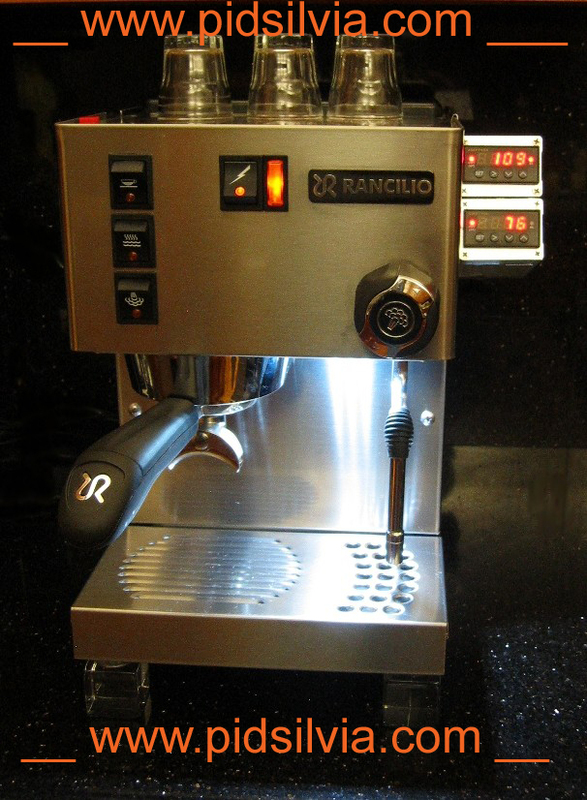 The Rancilio Silvia is one of the best and simplest machines in this category. List of investments and upgrades listed in the order of investment to reward. These upgrades increase control but will not prevent human error. They are not a substitute for experience and care. Before going any further know your Rancilio Silvia. Make sure you have the new Rancilio Portafilter Basket 40-100-102. or the 103. Learn to work with a Bottomless Portafilter. (this line should really be at the top of this list). Replace the original shower screen with a Flat Screen. Use boiler Insulation which will keep the heat where it’s doing the most good... in the boiler! Use a quality oil-filled Pressure Gauge. Okay, now install a PID controller, but first know What is a PID, Why PID Silvia, PID Set-ups, know where and how you want it to be installed. It is always better to know what the final set up will look like. Set your Silvia on a good digital timer switch. Install LED Lights under front panel. Simple and practical Water level indicator. Upgrade the Portafilter Spout Beak. Pre-infusion option, more info on Pre-Infusion. The steam wand can have a Steam wand thermometer. Go see some nice cool pictures of Silvia. Technical help and How to. Scroll up and read item number one again. Yes, if you modify Silvia, you will void your warranty. However, a PID with the correct setup will extend the life of the boiler and Silvia! Silvia is a very simple espresso machine, almost too simple.